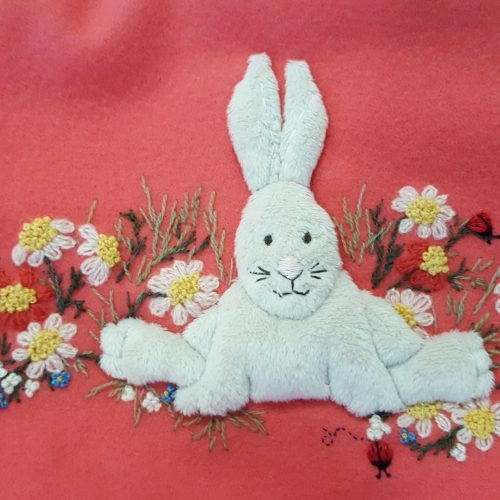 This watermelon wool blanket features a creamy fluffy applique rabbit. 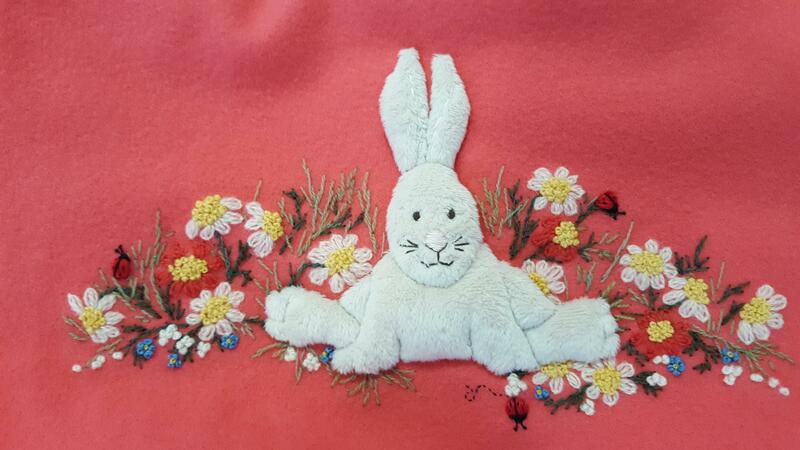 This smiling rabbit is a Windflower design and the rabbit sits among daisies, pink, red and tiny blue flowers, and three adorable ladybugs. 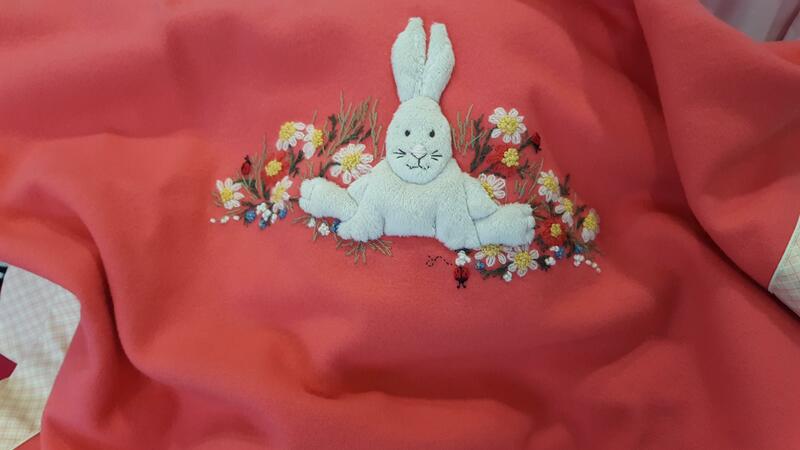 This blanket is entirely handmade, featuring beige piping and a check backing in apricot tones. 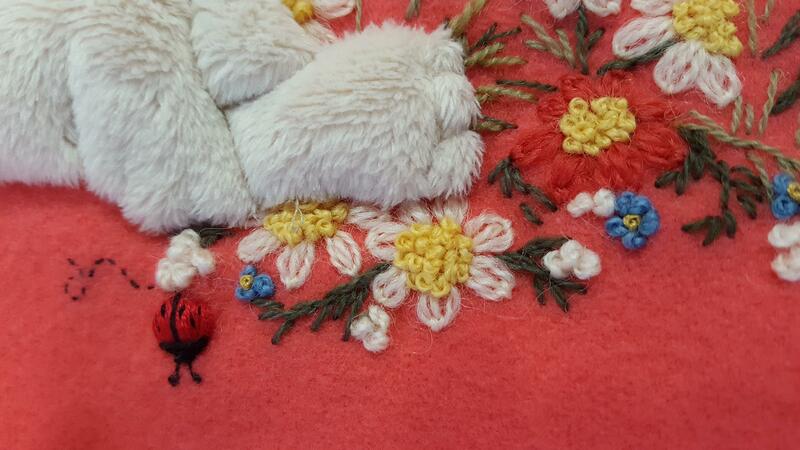 It measures 77 cm x 104 cm.